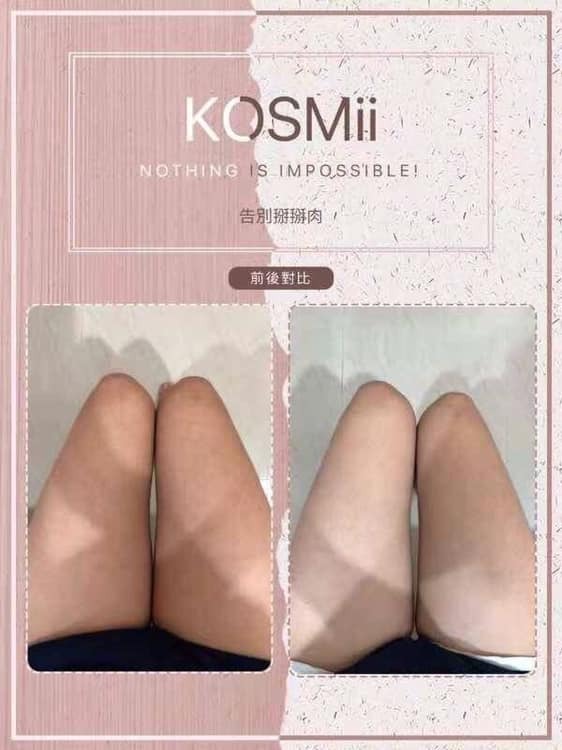 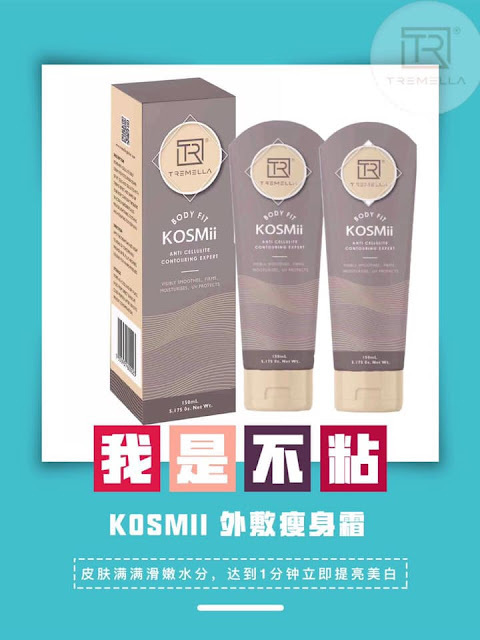 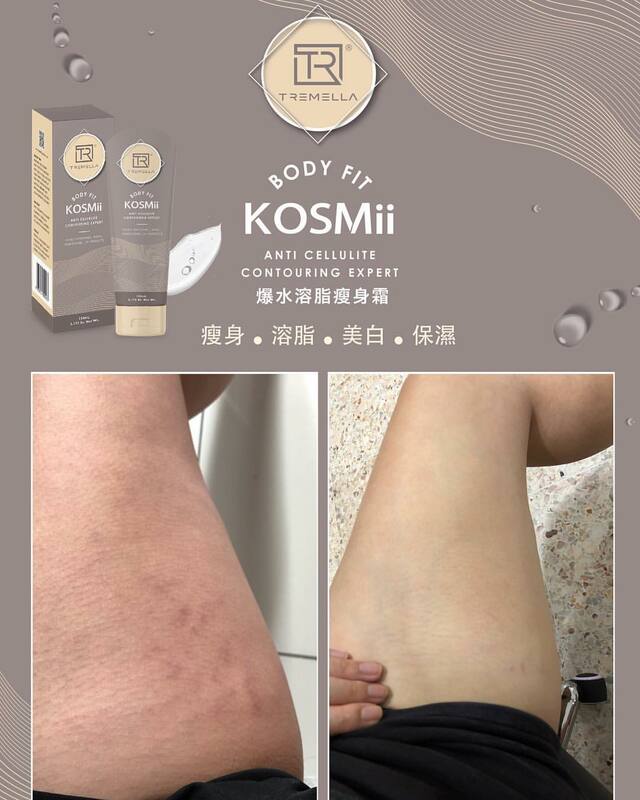 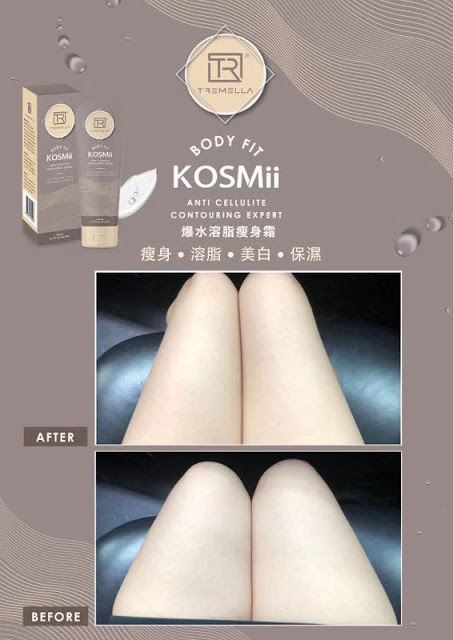 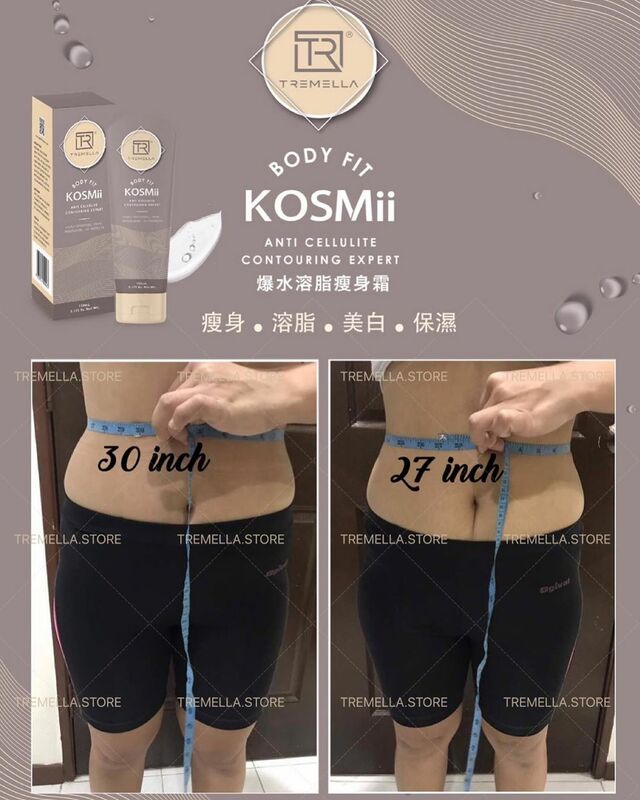 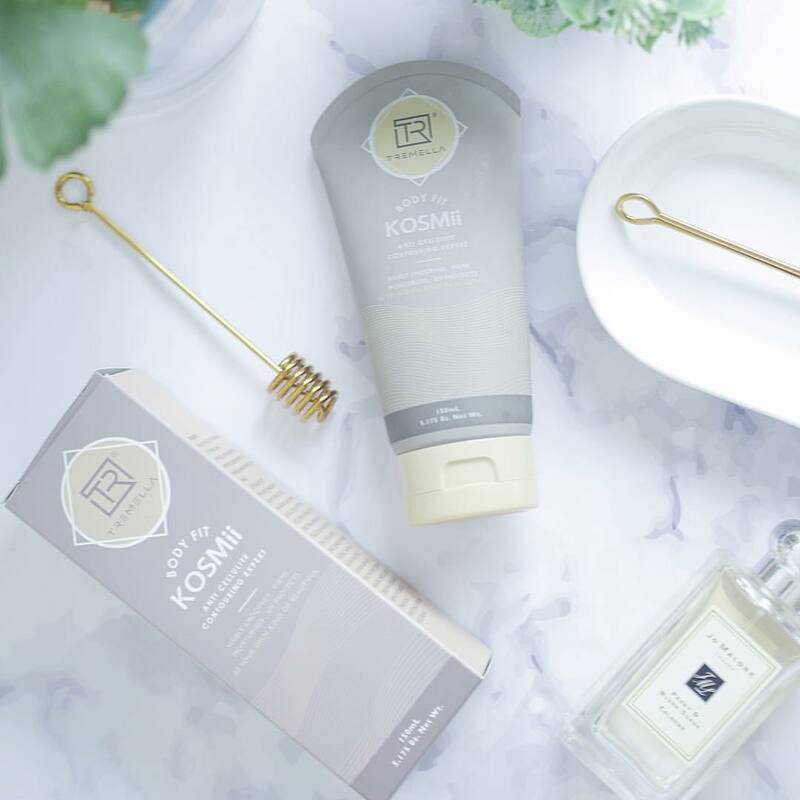 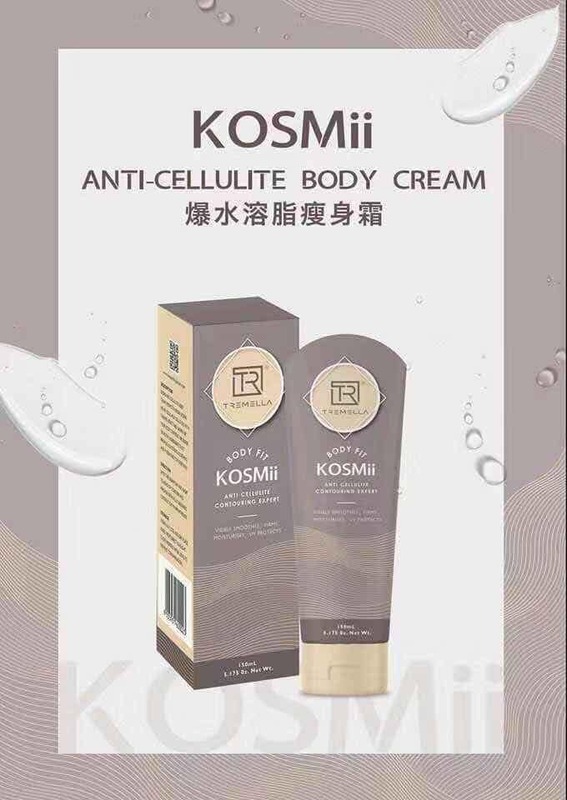 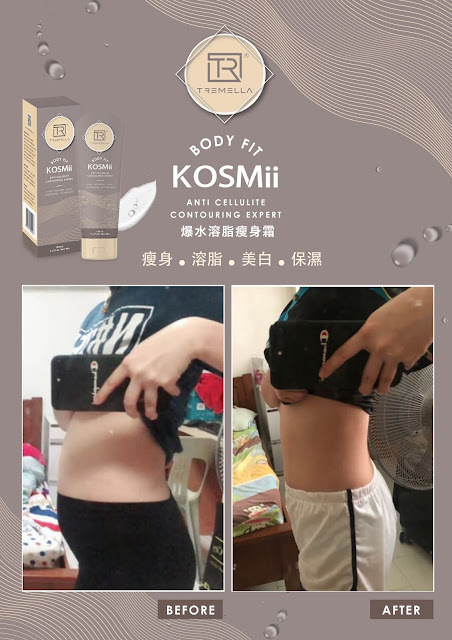 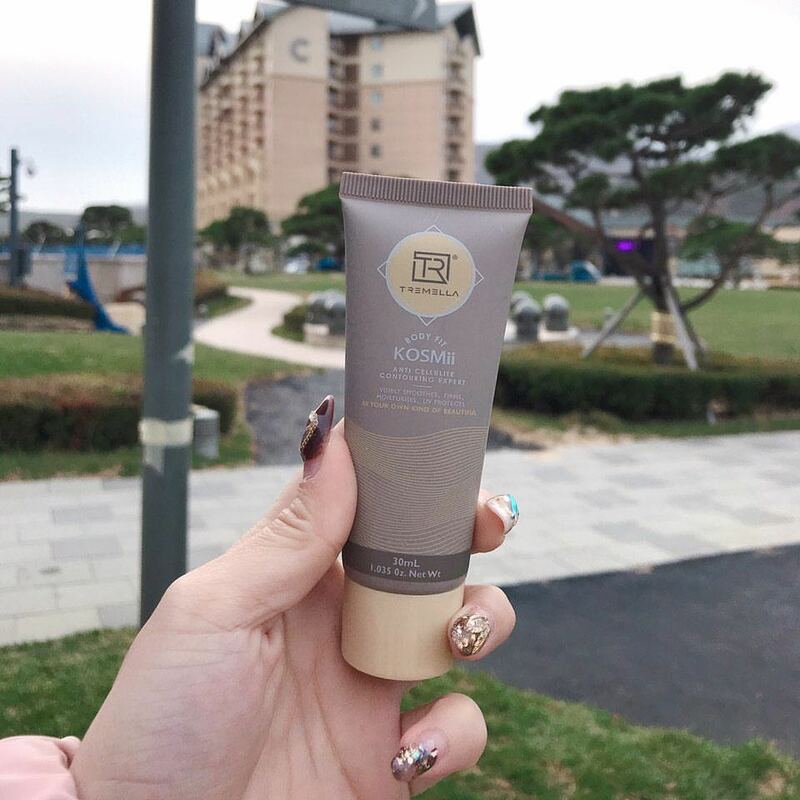 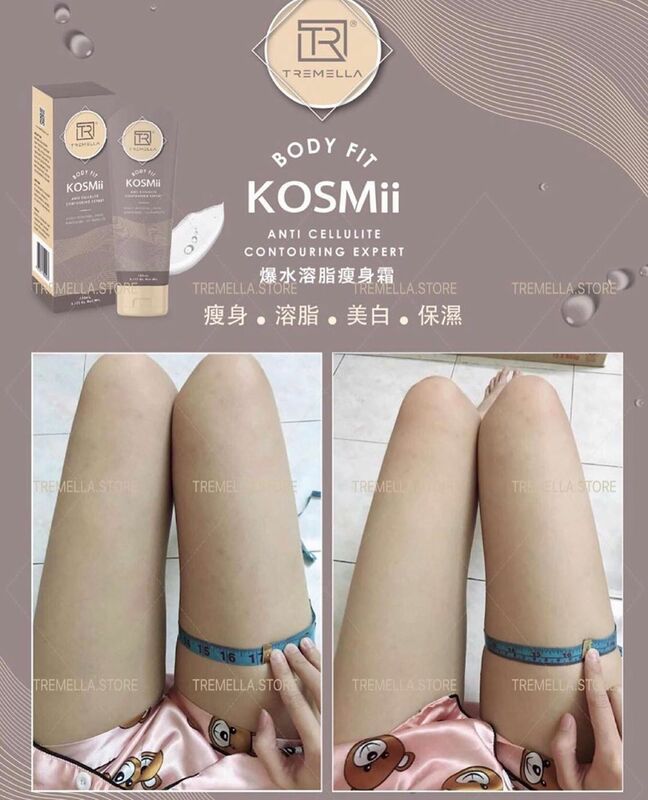 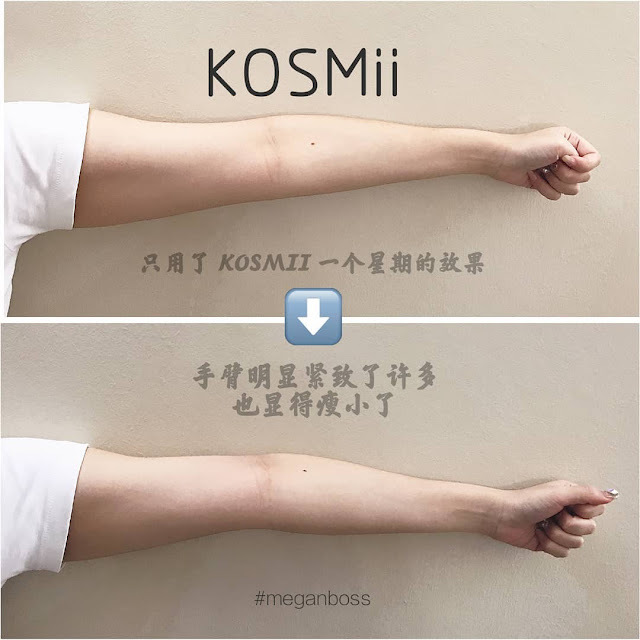 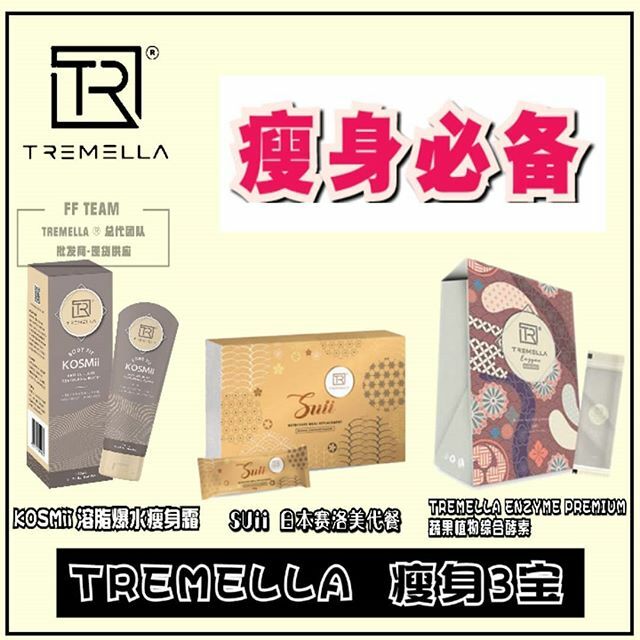 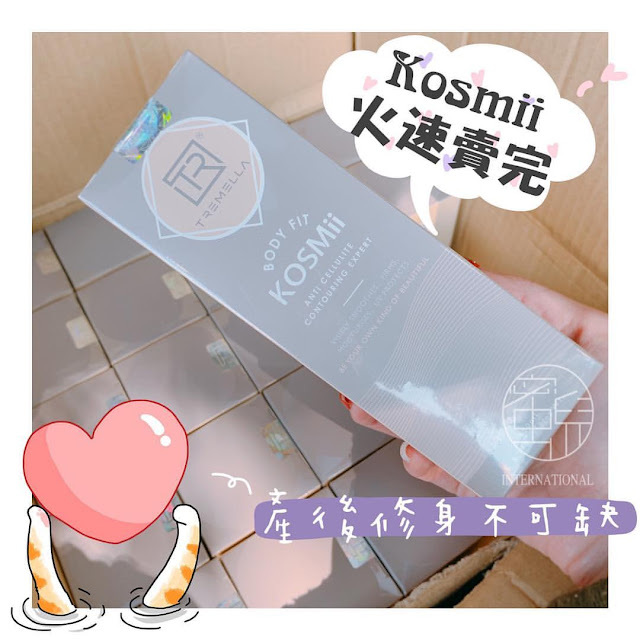 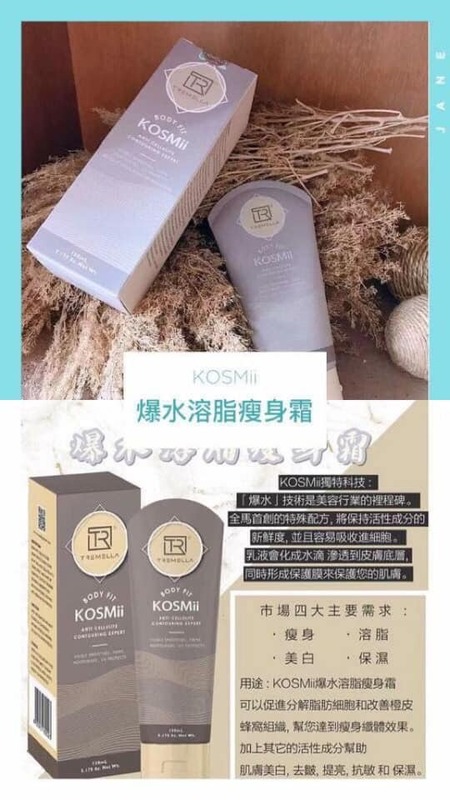 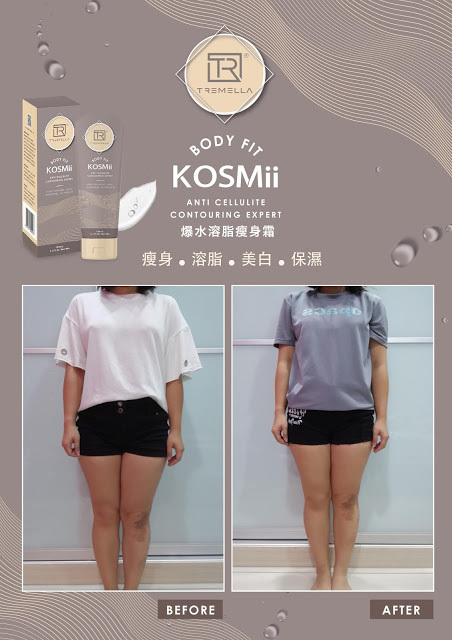 USES: KOSMii Anti-cellulite BODY CREAM can promote fat cell breakdown and improve cellulite to help you slim down. 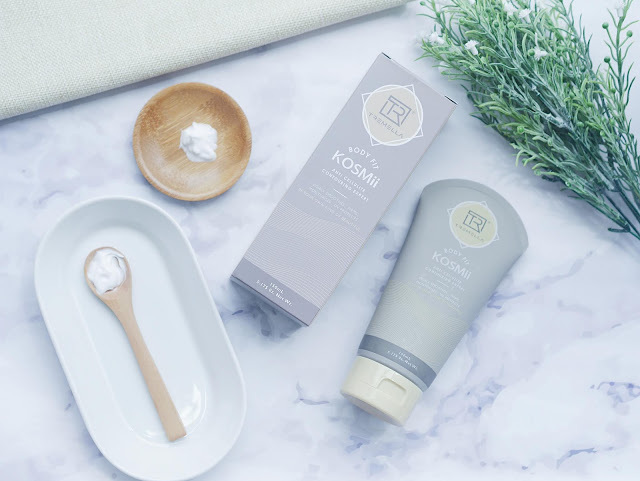 In addition, there are other active ingredients to whiten your skin, remove wrinkles, brighten, curb allergies and moisture. 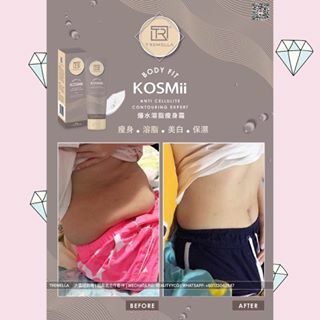 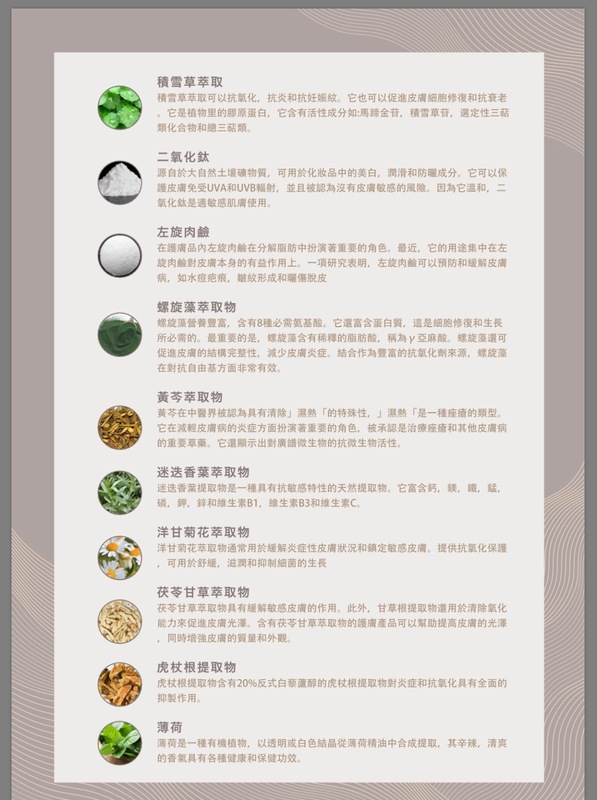 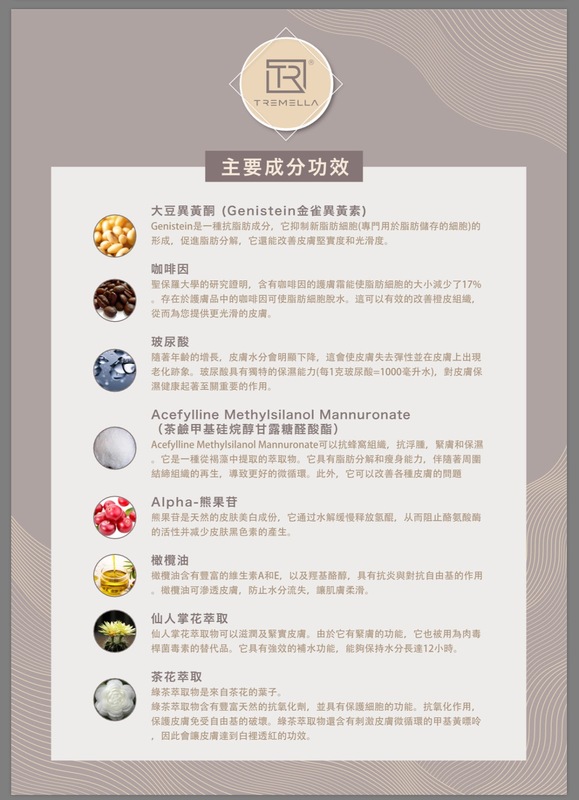 -Use it in the morning and evening for maximal effect. 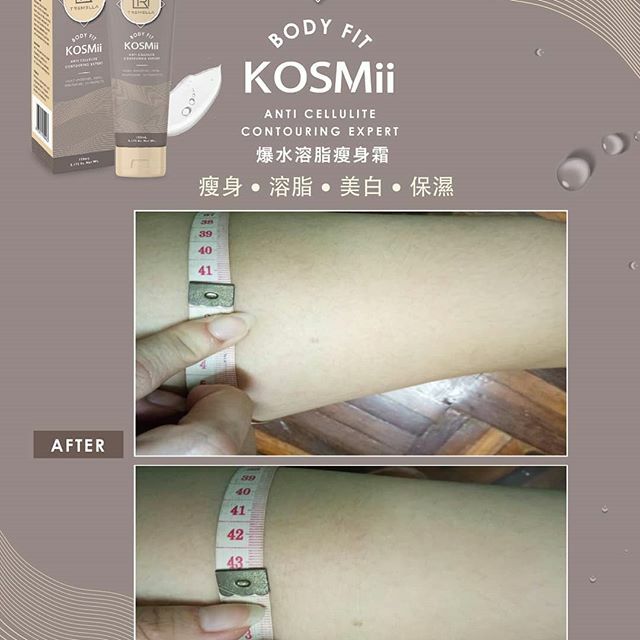 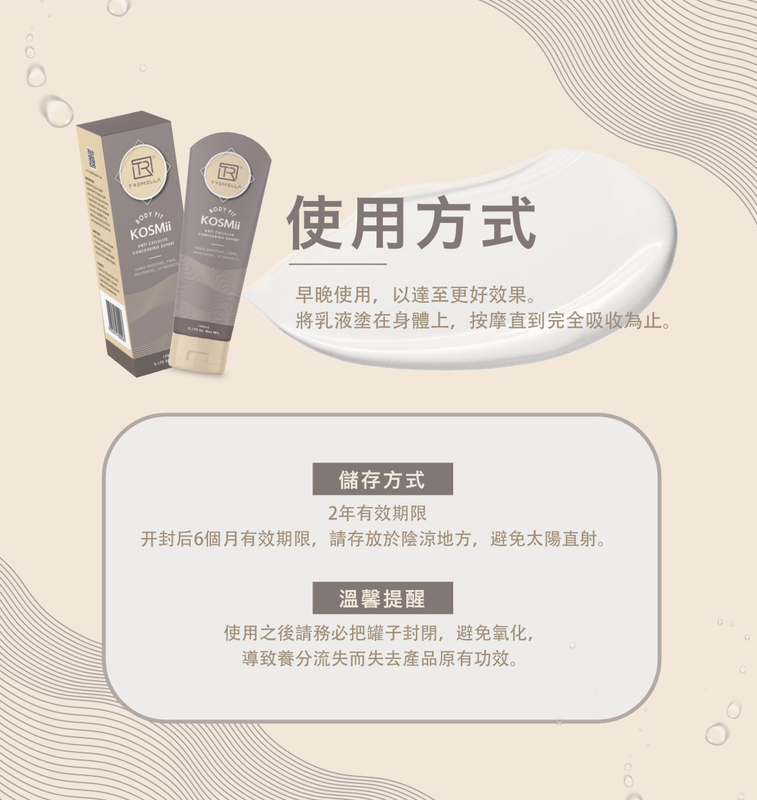 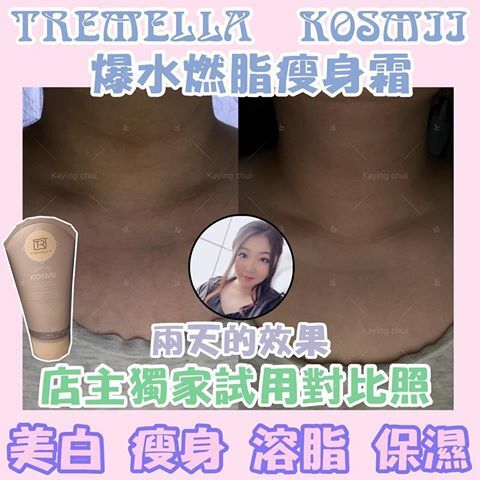 -Apply the cream on the body, massage until its fully absorbed. ➺ 容量 150ml, 5.175oz Net Wt.